When you arrive at Christcity on a Sunday morning, you will be welcomed and directed to the kids registration desk found in the west hallway. There we will assist you with a visitor check-in and answer any questions about our children’s ministry programs. Our priority is to provide a safe and loving environment to support the family during all of our weekly programming. For added security we use a computerized check in system. To take advantage of this express check in system please register your children. (the registration link is found at the bottom of this page.) After we have received your registration we can add you to our in house check in system and you will be able to use the touch screen computers or iPads to check in before each service and a name tag and preschool security slip will be printed. 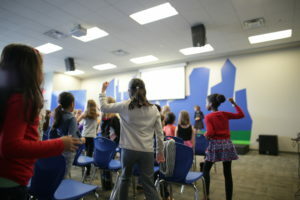 At Christcity we believe that it is important that our children worship with us. Our children join us for our main time of corporate worship, and are dismissed to their classes before the preaching of the word. Kids Choir: By program registration only. Please see Pastor Deanna for details. While the adults are in the sanctuary praying, and the youth are in Forsythe Hall for JC Revival service, the kids are being taught and trained in the ways of the Lord in their classrooms. This is an incredible time of worship, prayer, teaching, and fun activities! Our Christcity Kids team is deeply committed to the spiritual growth and understanding of your children. We look forward to having them join us! Christcity nursery is open all Sunday services and weekly programs. Well-trained, caring individuals are ready to welcome your baby into a loving, secure environment. Only Christcity nursery workers are allowed into our nursery. You will be given a pager for us to contact you, should we require you to return to the nursery to tend to your baby. Babies must be registered before entering the nursery. For more information regarding our nursery please see the attendant at the Nursery Desk. Nursing Mothers are welcome to use our mother’s room for feeding their babies. This is a quiet room found just inside the nursery area. To register for our weekly kids programs please complete the online form. After completing the registration form your family information will be added to our church family directory. This information will be used by the church office as well as the children’s ministry department. This will allow you access to our convenient computerized check in system. Children who are attending programs will need to check in upon arrival. 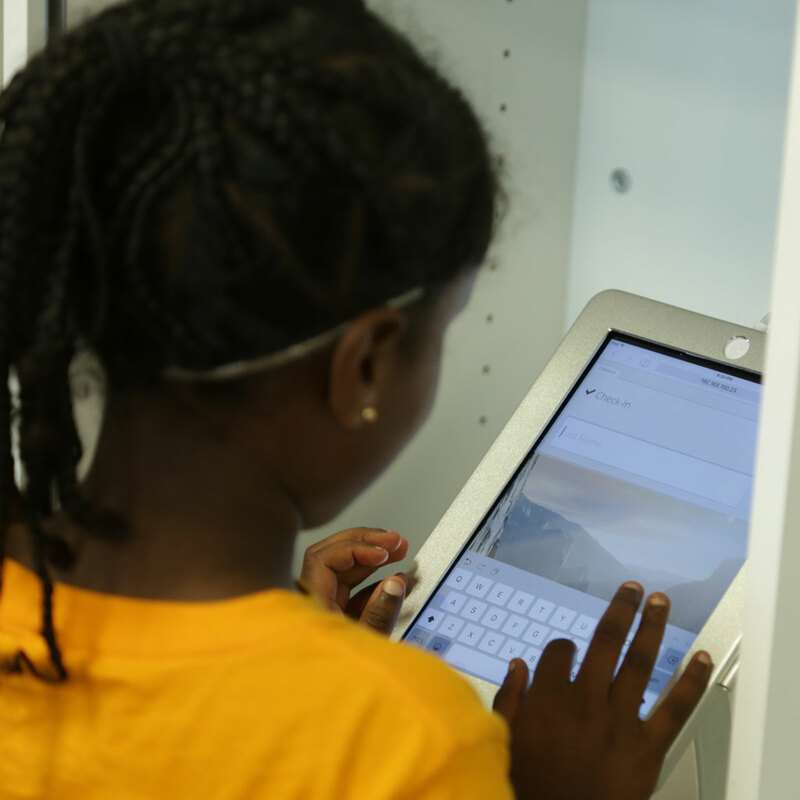 To do this, simply type your last name into one of the computers or iPads found in the children’s ministry areas. If you are visiting Christcity and would like to do a quick manual Check-In just for the day, please do so by going to The Park Registration Desk before service and an attendant will be happy to help you.